The divorce papers have been signed and you have put the wedding band and diamond ring in a drawer and you are ready to move on. You are ready to sell your diamond ring but don’t know how. Or maybe you were getting engaged and it just didn’t work out and it’s time to sell diamonds. What is the best way to sell diamonds? There are several ways you can sell diamonds, whether they are loose or set in a ring. Pawnshop. If you take your ring to a local pawnshop you will probably get the least amount of money for your diamond. The reason for this is most pawnshops purchase with the intent that you might buy back your item for a percentage more than what you sold it to them for. Almost like a loan on your jewelry. eBay. eBay is always a good option if you know all the details about your stone. 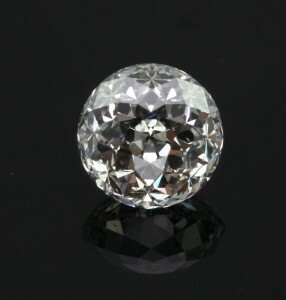 You should have the certification or at least have it appraised so you know the exact color, clarity, carat weight and cut. Remember that pictures are worth a thousand words and taking a picture of a diamond is not easy, so play with the lighting to get the best shot. Be sure to disclose if the diamond is used and be honest in your listing. With eBay, be prepared to pay listing fees, selling fees and then PayPal fees. Also, there is always a possibility the ring could be sent back, so don’t count your money until you get positive feedback. Craigslist. You can post on Craigslist for free. Which is always a good option, but you can also get all types of crazy when you post there. I know people who have had great results for furniture on Craigslist, but I would not put very expensive items on Craigslist unless you have someone who can protect you when you are showing that item to complete strangers who contact you. There is no anonymity with Craigslist. Consignment with a local jeweler or auction house. This is always a good option if you aren’t in a hurry to sell. Because it is consignment, your diamond ring will sit in a case and will sell when it sells. The good news is that you might be able to set the price for the engagement ring you are selling. Also, the consignment fee is generally a set fee that will not amount to much because you will not have to do any work other than drop your ring off. When you go to a consignment store or auction house you might have to sign a contract saying you agree to keep your item with them for a certain length of time and if it doesn’t sell during that time, you get your engagement ring back and then you can revisit this list and decide on another avenue if that one didn’t work! Sell to a Diamond Buyer. Selling to a diamond buyer is different that selling to a jeweler. For one thing, a diamond buyer does not have the same kind of overhead that a jeweler has, so they will be able to offer you a higher price for your stone. Be sure to check out on the Internet reviews and testimonials on the website of the diamond buyers that you are looking at. Also, be sure that they are members of the Better Business Bureau. The diamond buyer will not offer you replacement value, but they will offer you more than a pawn shop, eBay and Craigslist and you will be able to sell it faster than on consignment. If you are expecting a certain amount for selling your diamond ring, be sure to tell the diamond buyer what you want. Most will try to meet your needs because they want to earn your business and because most diamond buyers don’t just buy diamonds, they sell them as well.